Transgendering Faith is a resource to help churches respond with love and care to transgender people in our society, both those within the Christian community and those who find themselves--unhappily--outside its doors. 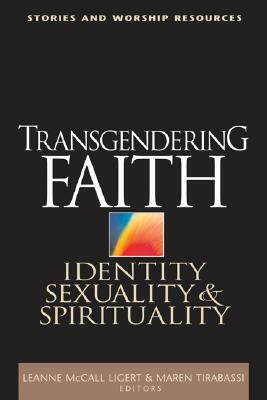 It is also a book for transgender Christians, their families, pastoral counselors, and clergy. The first section, "The Basics for Everyone," includes essays written by professionals and therapists who give readers a basic understanding of the transgender issue. Part Two--"In Our Own Words"--features stories of transgender persons from diverse denominational, age, ethnic, and racial backgrounds. These are stories of their painful experiences of rejection, self-doubt, and "Bible-flavored condemnation," but also stories celebrating God's blessing of who they are and their church and family experiences of hospitality, affirmation, and reconciliation. Part Three includes worship resources, Bible studies, and transgender resources for individual and community use.